About The Book: Life is getting tricky for eleven-year-old Madison Morgan. She’s not interested in boys, fashion, or the latest gossip, unlike her best friend Paige. Since her mom died, her stepfather Henry, who she knows as Dad, has way too many complicated systems around the house but way too little to say about her mom’s death. To top it off, in her first year of middle school, Madison and her new friend Cooper have become the “school project” of a bully named Donald. And all she really wants is a dog to call her own, but all she gets is the parental-brush-off. 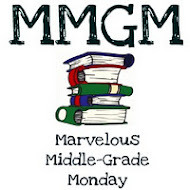 What is a straight- talking, spunky middle grader going to do? 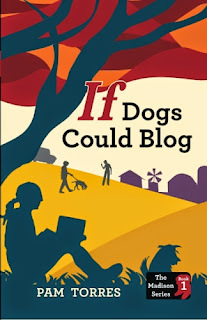 Kids from ages nine- to twelve-years-old are sure to get a laugh from every page of Madison Morgan: When Dogs Blog, the middle grade novel by author Pam Torres that charts the sometimes tough, frequently funny days of the wise-cracking, dog-loving Madison. 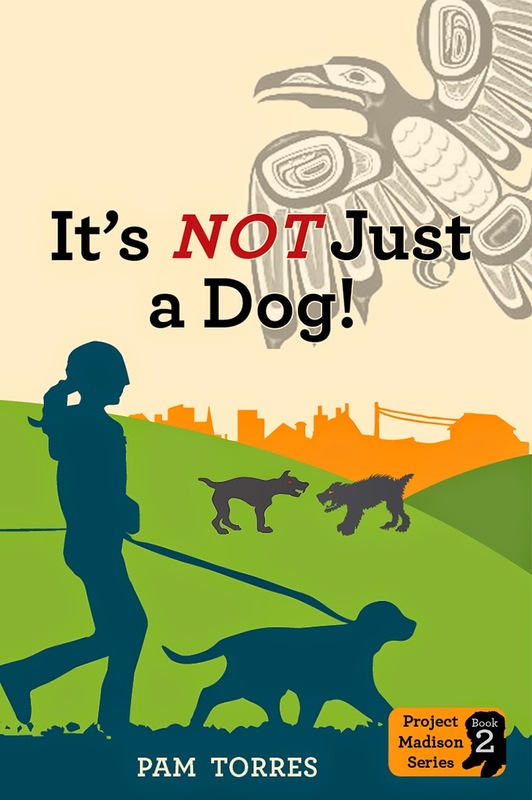 When her dad arrives home with a foster dog, a scrawny brown terrier named Lilly, Madison is amazed to find she has an ability to understand dogs, their emotions, and often their pasts. However, this rare ability also leads her to uncover some extremely harmful activities that are happening right in her very own neighborhood. If she exposes the culprits behind them, she may risk losing Cooper, not to mention destroy her plan to remain invisible at school. 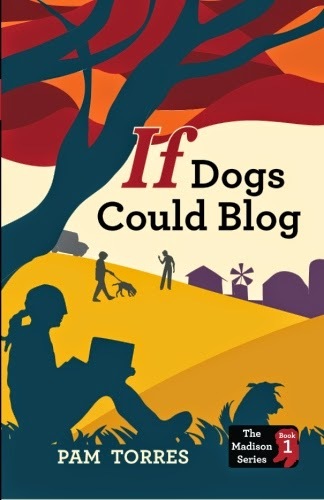 As Madison struggles to feel normal and understand her ability to translate dog-speak, this coming-of-age story shares how one quirky young girl saves the day with the help of her father and their friend Netta at the Last Chance Rescue Shelter. Frank, funny, and full of adventure, Madison Morgan: When Dogs Blog is a must for any middle grader, who is certain to be enthralled by this dog blogger. 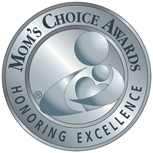 Recipient of the Silver Mom's Choice Awards. About The Book: School's out for the summer and straight-talking Madison and her friend Cooper have big plans for the summer: working at the kennel, training service dogs and creating a dog-walking business—besides writing her dog-blog. Her stepdad has agreed to make Lilly, Madison's foster puppy, a permanent member of the Morgan family, and Madison wants to make the adoption special. When an injured dog is abandoned, Madison's determined to discover the truth about the orphaned dog. To crack this crime she'll have to sneak around some shady characters. It'll be tricky since her dad isn't happy about her animal detective activities. Her promise not to get into trouble won't be easy. Madison convinces Cooper to strike out on their own, but finds herself locked in a shed with no way out and Lilly is dognapped. She regrets her crime-fighting obsession and realizes her snooping has endangered everyone she cares about. Cooper rallies an unlikely group of rescuers to bust her out. 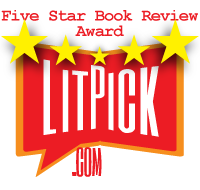 "Utterly enchanting and containing such profound inner meaning, this delightful children’s book is a must-read! 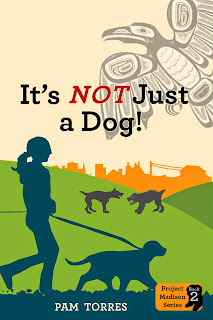 Not only is this a fun read which whisks you off on the most thrilling adventure, but it also contains such deep poignancy and clarity on the subject of animal welfare and pet ownership... An enjoyable, highly readable book which is thoroughly comprehensive and ideal for Middle-grade students (regardless of country) and children who love Dogs. Madison Morgan is a likable character whom many readers will be able to connect with... Coping with the loss of her mother alongside trying to settle into her first year at middle school, is certainly not easy and yet this spunky, straight-talking and gutsy girl is determined. Hermione Granger from JK Rowling’s Harry Potter was brought to mind as I observed the main protagonist from new dog owner to school girl savior, for she has all the qualities of a true heroine and role model for kids everywhere…she is not flawless but human...“This absolutely fantastic book is one that not only champions good animal welfare, but which also delves into school bullying (which is sadly a big issue for many children)...A thrilling adventure complete with exquisite illustrations that is sure to dazzle and delight! Could I write a book that would appeal to middle grade children that involved dogs? I didn't want to write the I-want-a-dog story. I wanted to write something that could not only entertain but bring awareness to the plight of dogs all over the world. The more research I did the more I realized how much I didn't know. 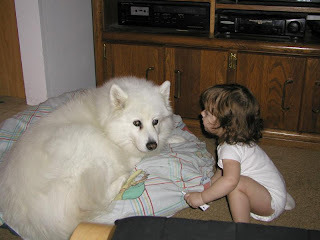 I learned that I could have given Tasha and the other dogs in my life a more fulfilling life. I also became aware of all the dogs and animals in the world that need our help. So, Project Madison was born. In an effort to bring awareness and encourage middle graders to get involved, my character Madison Morgan has a unique story to tell. 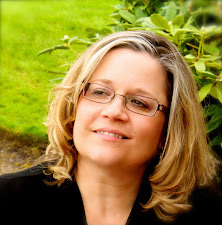 Like Kayla, my granddaughter, the only one (so far), Madison isn't your typical tween. Yay!! Can't wait! I just know you're going to be successful, because it's such a great book!